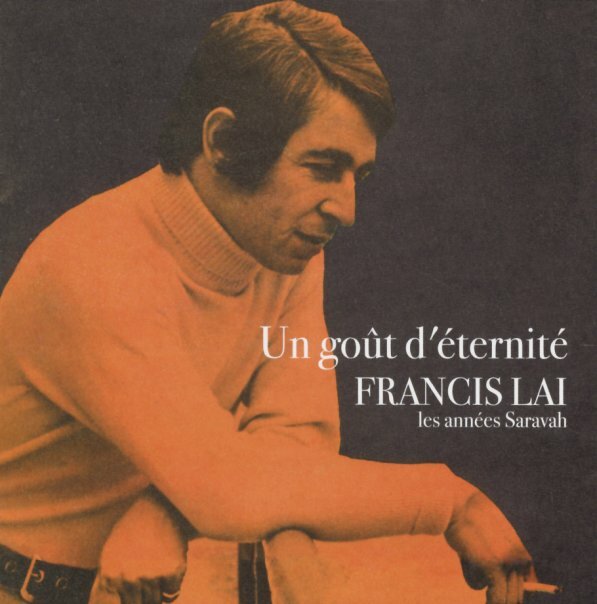 A huge lost chapter in the career of the legendary Francis Lai – the man who gave the world classic film scores for Un Homme Et Une Famme, Love Story, and many other movies – heard here in a rare set of singles he did for the Saravah Records label in Paris! A number of tracks here echo Lai's soundtrack modes – including a few that are variations on famous themes, or vocal takes on his tunes by other singers. But many other tracks open up this lost groovy side of his work – in a mix of cool instrumental singles, and vocal tracks done with frequent musical partner (and Saravah owner) Pierre Barouh! Titles include "Tu Verras", "13 Jours En France", "Fille Du Soleil", "Piano Bar", and "Soleil D'Hiver" by Francis Lai – plus "L Chanson Du Port", "La Barque De L'Oncle Leon", "La Biciclette", "Le Courage D'Aimer", "Nous", and "Ce Piano" by Pierre Barouh – and the tracks "Un Homme Qui Me Plait" by Martine Baujoud, "Un Homme Et Une Femme" by Monique Et Louis Aldebert, "Killy" by Nicole Croisille, and "Femme Parmi Les Femmes" by Francoise Hardy. © 1996-2019, Dusty Groove, Inc.